Ah, Italia – Group F, with the reigning World Champions; although they certainly haven’t looked the part in the past four years, Paraguay hoping and with just cause for a surprising first place finish, while Slovakia and New Zealand should be happy just reaching the big stage. Is this how Italy likes it? Coming in with tons of criticism and low expectations, at least from the outside of the country, based on their weak Euro 2008 and 2009 Confederations Cup showings, but with Marcello Lippi on the sidelines. Good enough for a 2006 repeat? It’ll start with Buffon. Italy play a 4-3-3, but it’s not the Dutch type, it’s how you expect Italy to play. Strong, slow, defensive maybe. Especially against quality opponents. 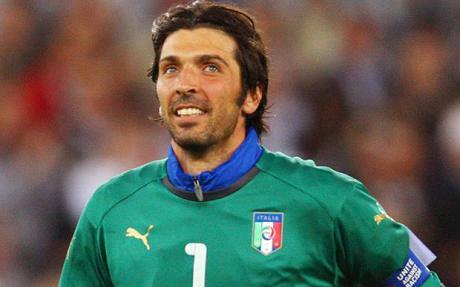 Italy based their 2006 campaign on a super defense, led by Cannavaro in the back four and by Buffon between the posts. Like Juventus, both have seen better days. Both, like seven more players, are still with the squad, but the big question mark is if they can recapture the magic from four years ago. If Buffon is healthy, it’s a good start. Roma’s De Rossi is the man at the helm in the middle, and he’s ability to play both ways, supporting the back and the attack, could determine if Italy make a deep run and even, yes, look partially enjoyable while doing it. Upfront? No one knows. Di Natale had a fantastic season for Udinese with 29 goals, but he’s still unproved with the national team. Gilardino, Iaquinta, Quagliarella – good Serie A strikers, but limited, each in his own way. No Luca Toni this time and no Giuseppe Rossi for some reason. Lippi is gambling with tough cards. Fourth consecutive World Cup appearance for the Albirojas, and after another fine qualifying campaign, it seems they’re ready to finally break their second round curse and make a first appearance in the tournament’s quarter finals. Why? 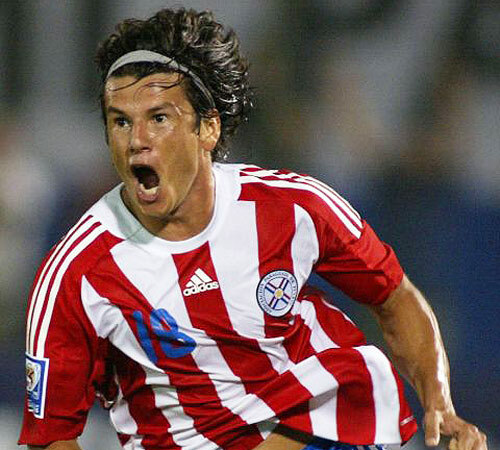 Cause Paraguay, always a very strong, physical and aggressive side finally has a very talented group of attackers, despite missing Salvador Cabanas, still hoping to make a return to the game after getting shot in the head. Lucas Barrios and Nelson Valdez of Dortmund, Roque Santa Cruz of Manchester City and Oscar Cardozo from Benfica, with Valdez and Santa Cruz having the international credit, while Cardozo and Barrios (recently turned Paraguayan) are backed by fantastic seasons with their clubs. A comfortable group and an outside shot at finishing first ahead of the unimpressive Italians make Paraguay, in my opinion, the best chance of a surprise in this World Cup. When you visit the World Cup for the first time, just getting there is enough, right? I guess they don’t see it that way in Slovakia, making it to a major tournament for the first time since the split with the Czech Republic. They had a fantastic qualifying campaign, finishing first in their group, leaving Poland and the Czech’s out of the World Cup, with Bochum striker Stanislav Setsak scoring six goals. He’ll be joined upfront by Robert Vittek, hoping he’ll regain his 2006 form, when he scored 16 goals for Nuremberg in the Bundesliga. Now with Lille, scoring 8 goals in two seasons with the French side, Vladimir Weiss is hoping his hard working attacker will be able to find his scoring touch once again after not scoring once during the qualifiers. Slovakia’s strength, like you’d expect from a Eastern European side, is their strength, tactical discipline and team effort. For everything else, there’s Hamsik. The 22 year old has been one of Europe’s most sought after young players, and his time with Napoli seems to be coming to and end. He provides the flair and creativity, alongside Miroslav Stoch (Chelsea, who have a thing for Hamsik as well), and his scoring touch (30 goals for Napoli last three seasons) gives Slovakia the hope and belief they can join Italy into the last 16. Do you believe in miracles? 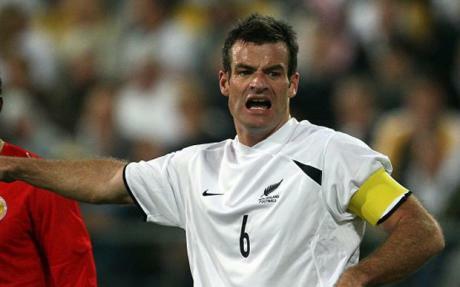 Ryan Nelsen, Blackburn’s rugged defender is New Zealand’s talisman and captain, is their “star” player, and New Zealand’s chances of making a better appearance than in 1982, their previous and only World Cup visit to date, aren’t looking good. It was three losses, 2-12 scoring record in Spain. This time? The All-Whites enjoyed Australia’s blessed departure to the Asian qualifiers, leaving them the chance to rule Oceania and after a hard fought battle with Bahrain, Ricki Herbert and his lads made history. True underdogs, maybe the weakest side in the tournament with North Korea, but with a much more sympathetic twist to them, more than zero points would be a surprising feat by the All Whites.